Because Princeton is not too far from Alexandria, I had the ability to go to the funeral and the internment. As many of us had the privilege of getting to know Mike and Kathy much better because of the proximity of their Alexandria home to our reunion venues, perhaps a couple of images of Monday's ceremonies would be of interest to some. I will leave these in your hands to use how you wish. - The Funeral Mass at the Blessed Sacrament Catholic Community was inspiring for many reasons. First, Kathy - despite her suffering - had the chance to write notes to her sister which were read at the Mass. These were beautiful comments of gratitude to her Walter Reed doctors, and all the many friends who were in her corner throughout her heroic fight. Second, you will note that the Church is not labeled, "church" but rather "Community". In fact, a beautiful church surrounded by a school and community center. Throughout the Mass, the sounds of children (of the school) could be heard in the background...which at first I just accepted as "white noise"..but then realized that this lovely location on this particular day was simply a reminding me of how close are the lines between life and death. All of Kathy's teaching and support of children with reading and learning disabilities was driven home to me as my mind went back and forth between the words of the priest and the chatting of the children --perhaps only 200 meters away. Third, the priest. I thought what a marvelous speaker. What great presence and at the same time --wonderful humility. Mike told me later, he had experienced a 20 year officer's career in the Marine Corps. Then went to the seminary on retirement from the USMC. The ceremonies continued at the relatively new Quantico- VA Veterans Administration Cemetery. The procession goes to another Station. The Casket is brought to an open air shelter with seats for about 15. The rest of us stand and watch and listen to the priest go through the prescribed graveside ritual. But at Quantico, there is no graveside ceremony. The ceremonies are done in these shelters- not far from the graves, but not at graveside. When completed, the entourage slowly moves away and Mike and his sons make sure that the casket is transported to the grave site. Ironically, Mike's oldest son --many years earlier--had done a project as an Eagle Scout - on assisting the VA on how to lay out the cemetery. Another example of life moving in full circle(s). - A reception was held at the near-by Globe and Laurel Restaurant not far from the new Marine Memorial and the Main Gate. Among the many showing respect for Kathy (and Mike) was a former RAF pilot with whom Mike worked while on "loan" the RAF to impart his knowledge on F-4's I learned that . Mike and Kathy gave great 4th of July parties which even the "Brits" enjoyed. – Finally, back at Mike and Kathy's home in Alexandria, his two wonderful sons Cliff and Griffin along with Kathy's family from the Boston area...all slipped into more comfortable gear and relaxed and just re-connected with one another. Kathy (Sheehy Wholley) has a large and highly articulate family. Conversations meandered all over the place. Life is full of wonderful ironies. One of Mike's really good friends had been his Rear Seat (RIO) as Warrant Officer. He went on to study law and became a UCMJ judge. One of his first assignments had been to preside over the then newly minted attorney --Maj Wholley. - The conversation went something like this...." When I Iooked out from my perch and saw the first case of the day was Mike Wholley, I had to call him to the bench...and said...."years ago, that F-4 cockpit was your domain. ...well, sir,,,this here courtroom is my domain...my cockpit... I'm in charge"
There were stories like that. - Right after I left, I recounted the day in my mind. My feeling was this- I was very grateful to the Wholley family for allowing me to be with them. I sure wish life lasted longer...however, since it doesn't I am so appreciative that we have wonderful examples -Kathy Wholley- who remind us of the importance of walking the extra mile or two in support of our fellow humans. ...often times when cynicism is more of an automatic response. Watching a family care for its members is impressive. Kathy expanded that sentiment to be far more inclusive... a much larger family. 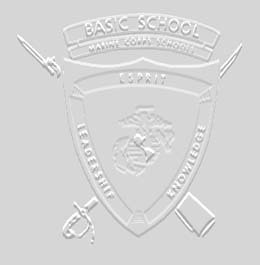 - I so well remember on completion of our Summer OCS program..driving Midshipmen Wholley and (Brad) Myers from Quantico to Andover and Metheuen MA. These two spoke all the way home about their special ladies. I continue to marvel at quality and caliber of the men I met at TBS....and some of their very special spouses.